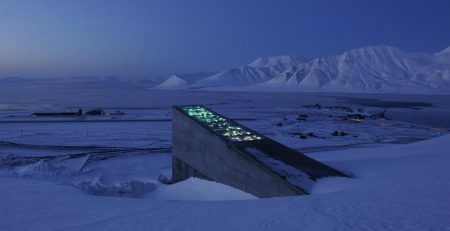 A celebration to mark the tenth anniversary of the Svalbard Global Seed Vault, including a “Seed Vault Summit” and the Seed Vault Foundation Stone Ceremony, will take place from 25 to 27 February at the facilities in Longyearbyen, Norway. 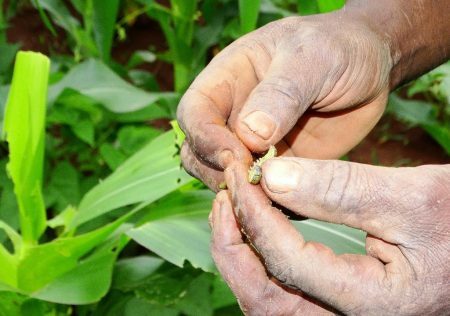 The Africa RISING-NAFAKA project has trained over 250 government extension staff and over 40 lead farmers from Tanzania’s southern highlands on fall armyworm (FAW) management. 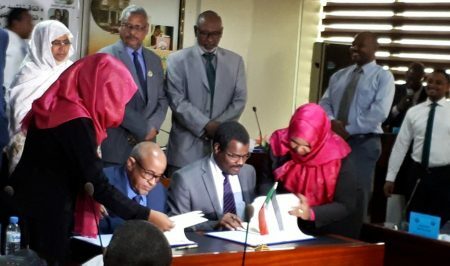 The Sudan Chapter of the ENABLE Youth Program has entered into a partnership with the Savings and Social Development Bank to facilitate access to financial services by the youth. 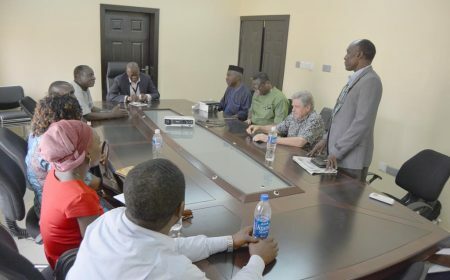 Representatives from the Federal University, Ndufu-Alike Ikwo (FUNAI), Ebonyi State, visited IITA, on 19 February, to exchange ideas, explore potential areas for collaboration, and identify possible ideas that can emanate from the research and knowledge of IITA’s work. 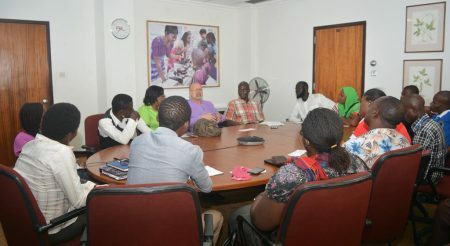 Representatives from the National Youth Council of Nigeria (NYCN) Oyo State Chapter visited IITA HQ on 21 February to discuss possible collaboration and deliberate on plans to network the youth in Oyo State in agriculture. 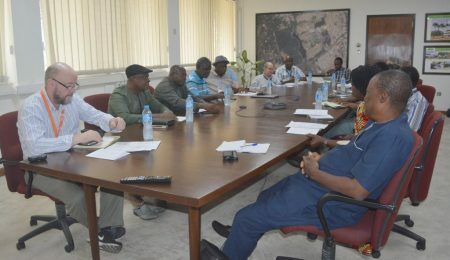 IITA DG Nteranya Sanginga expressed optimism over the efforts of the Tanzania Youth Agripreneurs and pledged to fully support them in their various enterprises. 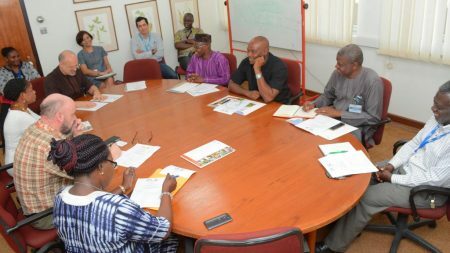 IITA partners from the National Root Crop Research Institute (NRCRI), Umudike, Abia State, visited IITA HQ on 14‒15 February, to explore and discuss possible areas of improvement, and also strengthen partnership ties. 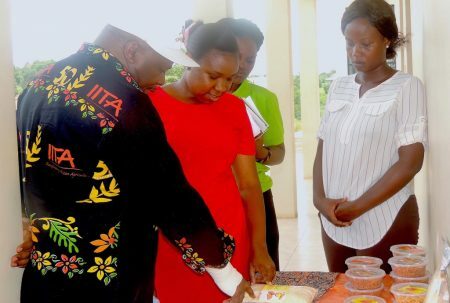 The IITA image repository being housed on the photo hosting and sharing service Flickr has attained a milestone—it has reached and surpassed 5.7 million views! 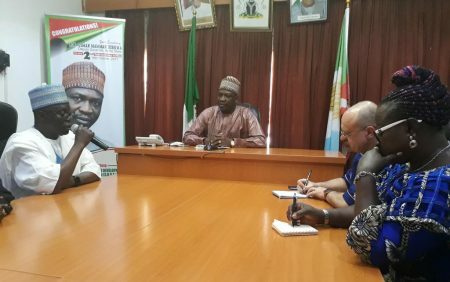 Ahead of the Nigeria Zero Hunger Forum meeting scheduled for March 2018, Kenton Dashiell, IITA Deputy Director General for Partnership for Delivery, led members of the NZHF secretariat to Borno State to assess the preparedness of the northeastern state towards hosting members of the NZHF.